Google Chrome is a brilliant web browser and I have been using it as my primary browser. 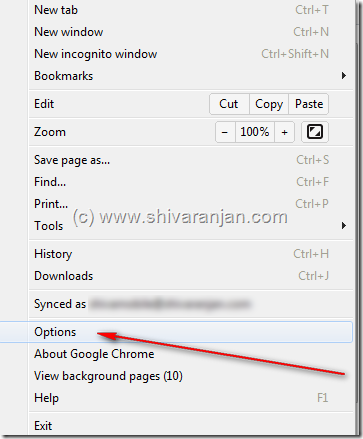 The sync feature of Google chrome is something which I like the most as I use different computers running different operating systems with Chrome as primary browser. 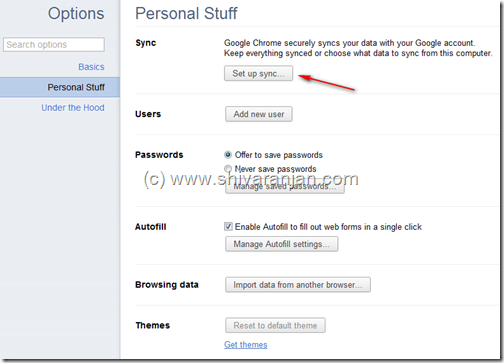 How to sync bookmarks, apps, extensions, preferences, passwords and etc in Google Chrome? 2. Choose the ‘Options’ button from the dropdown. 3. Now choose ‘Personal stuff’ option and you then select ‘Set up sync..’ option. 4. 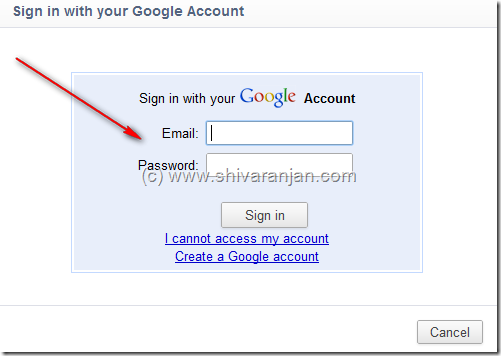 Now the Google Chrome will prompt you to login with your Google account credentials, use your Google account to sign in. 5. After you sign in the Chrome will offer you the items that are available for sync. You can also opt for Sync all or choose the ones that you intend to sync. You can sync Apps, autofill, extensions, chrome preferences, history, themes, bookmarks and passwords. 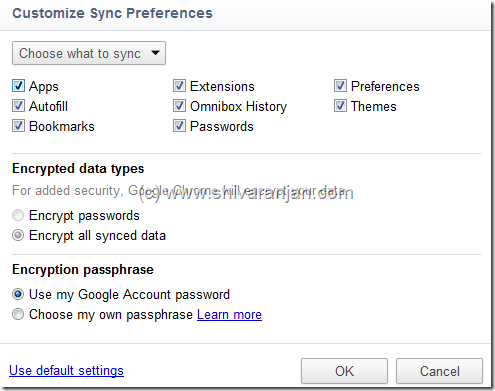 Chrome also offers encryption options for the data that would be synced, you can choose encrypt the passwords or encrypt all of the data that is going to synced. I personally prefer to encrypt all of the synced data. The data will be either encrypted using your Google account password or you are free to choose your own passphrase. In case of any questions post in the comments. Google chrome has a wonderful features….so let’s apply it. Thanks for your helpful post! Sync function is great. Thanks for more detailed view! Very nice Post & very useful post thank a lot’s. Hi admin thanks for nice info and tricks about google chrome you are great. purchased for a real income.